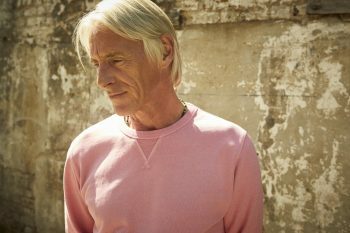 The 18-year-old Paul Weller who recorded the very first Jam single, In the City, in March of 1997 would probably be amused to see himself at age 59 surrounded by a large orchestra in front of a (seated) audience at the Royal Albert Hall one evening in October 2018… The life - or rather lives - of the Modfather merit a certain artistic integrity that this British rock icon has always had. For this wonderfully crafted live album, Weller focused on songs from True Meanings, his beautiful, melancholic soul-folk record released a month before the concert, which he mixes in with other tracks from The Jam (Private Hell, Tales from the Riverbank), Style Council (Have you Ever Had it Blue) and particularly from his other solo albums (Wild Wood, You do Something to Me…). Superbly arranged specifically for the concert, these versions find an organic power thanks to his warmth and sincere rapport with the London audience. This album is specially made live album for fans of the Modfather.